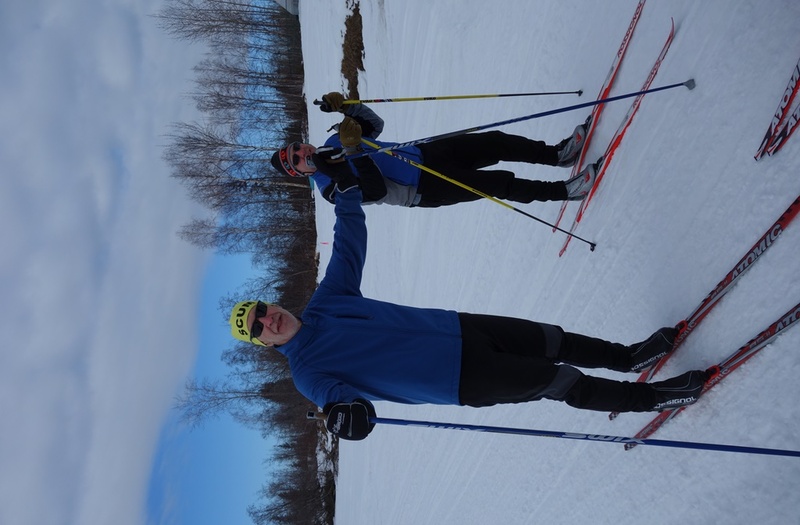 We skied from Birch Hill to 2 km from the Sonot Kkaazoot start and the trails look amazingly good considering the week of warm weather. If the river still looks good at mid-week, we’ll need some snow enhancement work on the Sonot Connector (where a errant truck got stuck), some brushing and snow enhancement on the ditch between the Fort Wainwright alpine hill and the river, and some additional snow under the highway bridges. 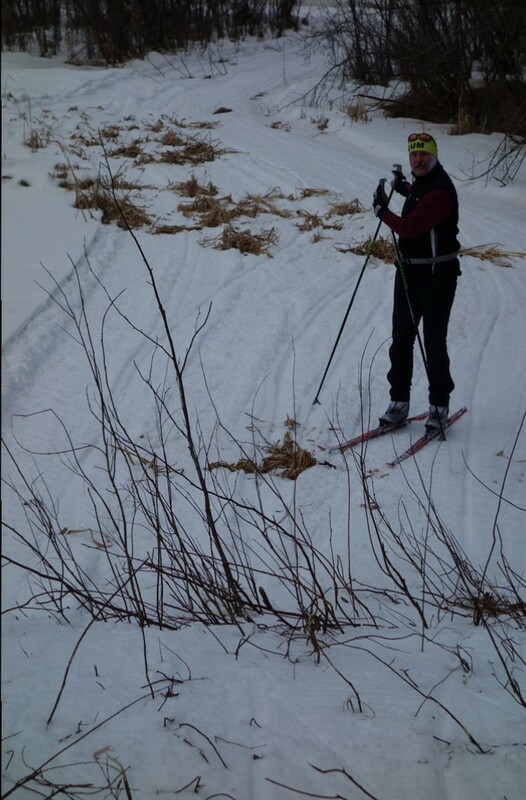 However, the ditch looks pretty good in most areas thanks to the brushing done by the Nordic Ski Club of Fairbanks groomers and Bad Bob Baker, and the piston bully work of Jeff from Fort Wainwright. The Chena River itself has the usual spring open water spots but was still very enjoyable today. Late registration and bib pick-up for the 2015 Sonot Kkaazoot is this Thursday from 5 to 7 p.m. at the Doyon Ltd Headquarters downtown. This entry was posted in 2015 Sonot Kkaazoot information and tagged Chena River by Sonot Kkaazoot. Bookmark the permalink.